He's the evp for external relations. 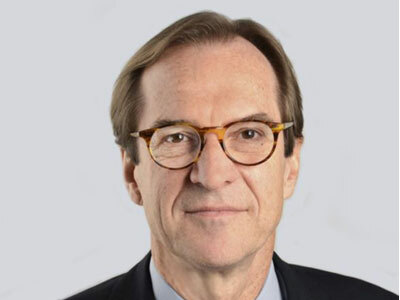 David Ensor has been named executive vice president for external relations at the Atlantic Council, an international relations focused think tank. “Few people have David’s global management and front-line experience,” said president and CEO Frederick Kempe in a statement. That experience bridges the worlds of media, foreign policy and business. Prior to joining Voice of America as its director, overseeing the organization through a period of strong audience growth before resigning in the spring of 2015, Ensor worked at the U.S. Embassy in Afghanistan as the director of communications and public diplomacy. Before that, he had been a correspondent for CNN, ABC News and NPR, working out of various countries. Ensor comes to the Atlantic Council from the Kennedy School’s Shorenstein Center on Media, Politics and Public Policy, where he was a fall 2015 fellow.